With an Introduction by Stuart Gilbert. In 1935, George Macy, the founder of the Limited Editions Club, offered a commission to Henri Matisse to illustrate an exclusive edition of the novel, Ulysses by James Joyce. 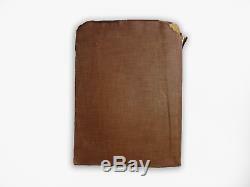 Ulysses was initially serialized between 1918 and 1920, and published as a novel in 1922. Some labeled it pornographic and it was banned in the United States until 1934. Macy was correct in identifying Henri Matisse as an appropriate and prominent figure within European modernism, and he engaged Matisse and James Joyce to produce the Limited Editions Club Ulysses illustrated with six etchings and twenty drawings. 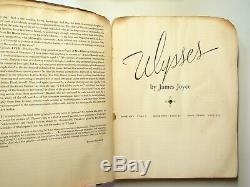 The outline of Joyces novel Ulysses is well known in literary circles and its stream of consciousness style is notoriously difficult to read. Macy sent Matisse a French translation of Joyces text. 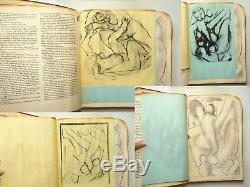 Despite Matisses admiration for the books ultra-modern style of writing and status in the literary world, commentators agree that Matisse might have not read Joyces Ulysses in entirety before he created the etchings for the book, because the artist turned in six beautiful etchings based on Homers Odyssey, and not Joyces own text to George Macy. 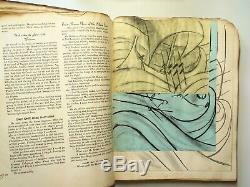 In the history of illustrated books one cant really speak of a true collaboration between Matisse and Joyce, because Matisse decided to go directly to one of Joyces sources of inspiration for the book; Homers Odyssey. This genial collaboration between two great artists, Henri Matisse and James Joyce, appears to have suffered a storied past. 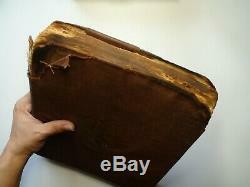 Book was clearly rescued from a fire. Boards are singed and blackened along the top and buckled from a subsequent dousing of water. 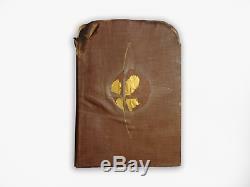 The gilt on the cover is chipped. Text block is legible, but burned along top right corner. 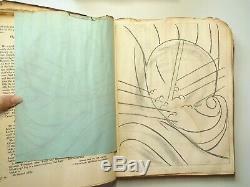 The burn has affected some of Matisse's illustrations. 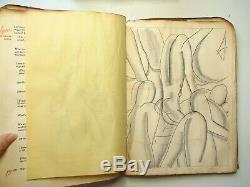 The title page is missing as is the limited edition page with the number and Matisse's signature. 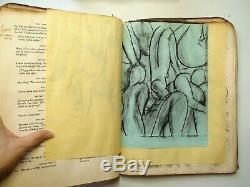 This book contains all of Matisse's 6 six soft-ground etchings and the 20 corresponding preliminary drawings on yellow and blue paper. _gsrx_vers_791 GS 7.0.6 (791). The item "Ulysses, James Joyce, Illustrated by Henri Matisse, Limited Editions Club, 1935" is in sale since Tuesday, March 19, 2019. 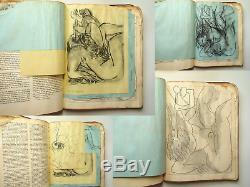 This item is in the category "Books\Antiquarian & Collectible".narcissus" and is located in Warwick, New York. This item can be shipped worldwide.